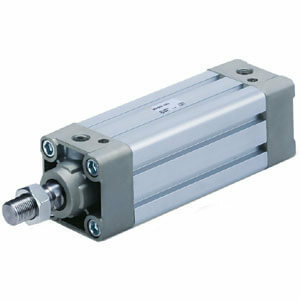 The MB1 single rod, double acting, light weight, medium duty tie rod cylinder. The MB1 utilizes a profile tube that enclose the tie rods. Available bore sizes range from 32mm to 125mm. The standard air cushion utilizes a floating cushion seal to eliminate piston rod bouncing. Also available with a rubber end of stroke cushion instead of air cushion.